A real selling point for 190 The Strand are the amenities. The porters and concierge are extremely smart and wouldn’t look out of place in a Mayfair development. For those who work from home there is a useful boardroom for meetings and the cinema room too is a great added extra. The gym and spa are also five star and help to create the overall experience. 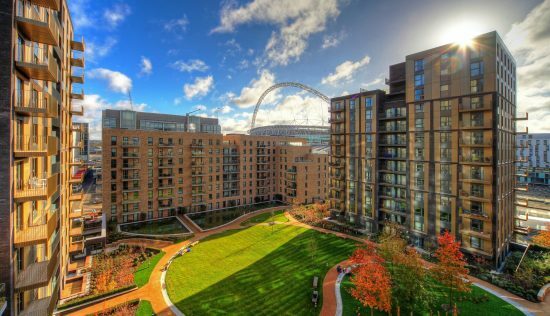 There are still units for sale at the development together with some resale opportunities – it seems like it is popular with international students who may have had help from the bank of Mum and Dad. It’s useful for them to be close to central London Universities like UCL, Kings and LSE. The specification is good and as the building is a U shape there are some beautiful double aspect apartments on the corners. Selling points are that the ceiling heights and natural light are impressive and the location means that it’s a short walk from both ‘theatre land’ and Covent Garden. City workers would also do well to purchase at 190 The Strand as it is a short walk away from St Paul’s and Bank. I am looking for a comfortable base in London that offered great commuting options with a secure lock-up-and-go set up. 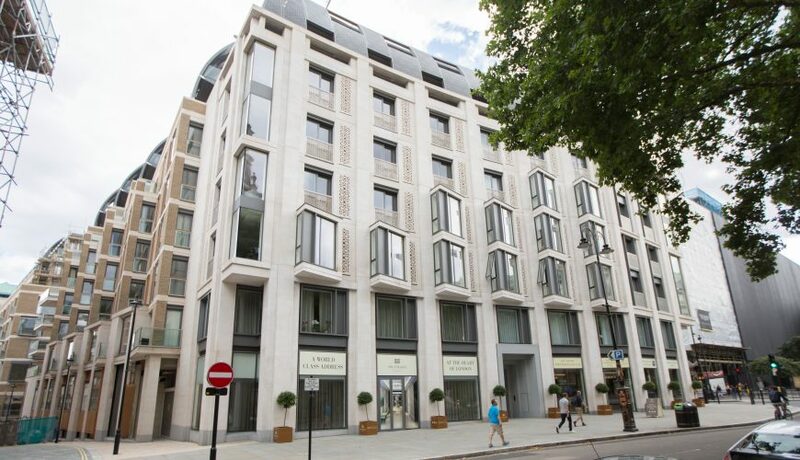 I believe that 190 Strand meets all my specifications – St Edward, the developer have done a great job. 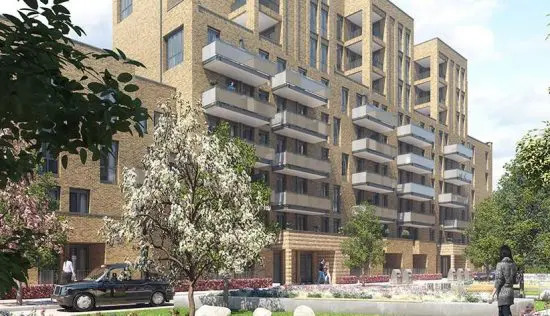 The area presented innumerable commuting options from the nearby Temple Tube, Waterloo and Charing Cross Stations and river taxi services running from Waterloo and Blackfriars – anyone living here is truly spoilt for choice in this sense. The gym is spacious and well-equipped and also open early until late which suits my busy work schedule; the business suite that can also be booked out for meeting which is a handy tool. The concierge is available 24/7 and there is also a variety of grocery options within a 15-minute walk from the front door that are open late. In terms of security, I was reassured by the triple-lock system on doors, 24/7 security and secure parking which all give me peace of mind when I’m away travelling and I can even connect with the concierge via an app, which is pretty cool. When it comes to central locations, 190 Strand ticks just about every box going. This new development by St Edward sits between the capitals cultural heartland, Covent Garden, and the River Thames, and is sure to attract those looking to live at one of Londons most prestigious addresses. 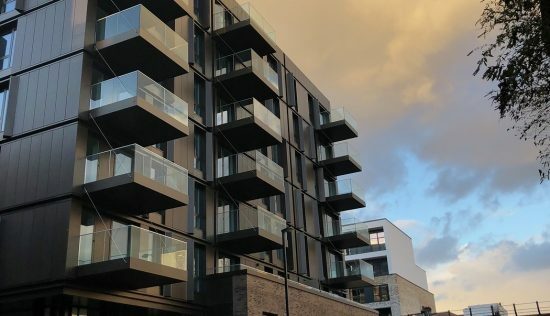 There are six buildings that make up the award winning 190 Strand which wrap around a private landscaped square sloping down towards the river, and overlook the Grade I listed St Clement Danes church, Courtauld Gallery and Somerset House. 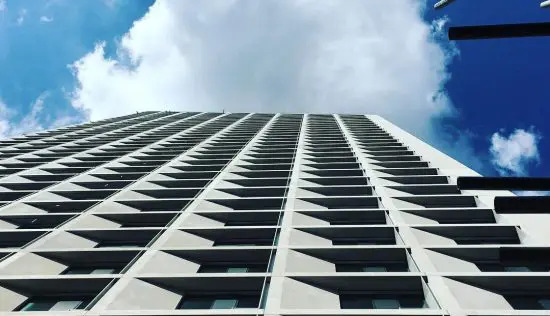 It consists of 206 suites, apartments and penthouses (included duplexes) designed by a team that includes GRID Architects, CID Interiors and Taylor Interiors. Transport links are plentiful. Nearby Charing Cross station offers Overground services across southeast England, while Temple tube station on the District and Circle line is a good starting point to reach Zone 1 destinations and beyond. The citys major airports are all easily reached by train, and the Strand is never short of black cabs or buses if travelling above ground is preferred. The immediate streets surrounding 190 Strand are chockfull of world class restaurants, shops and landmarks, making it ideal for those wanting a real sense of being in one of the most exciting cities in the world, rather than opting for a quiet leafy suburb. If peace and tranquillity to return to after a stressful days work is what youre after, then this buzzing WC2R location is not recommended. As for the apartments themselves, it could almost be suggested that residents wouldnt even need to venture outside of the complex. Facilities include a private pool and spa area where you can escape hectic city life, and theres a fully equipped fitness studio, where personal trainers are on hand if required. Youll also find a private cinema where you can host screenings for family and friends, and a virtual golf space. Nothing is too much trouble for the dedicated 24 hour hotel style concierge service errands such as cleaning, ticket reservations and drivers will all be taken care of efficiently. Car parking is available within CCTV parking areas at a cost of around GBP450 per space, but this is subject to separate negotiation. The buildings itself blends beautifully into its surrounds, evoking an almost Parisian mansion block feel with a modern finish. The roof area is particularly attractive, with a laser cut metal filigree faÃ§ade topping the stone and glass frontage. It sympathetically reflects the civic character of the neighbouring streets, but maintains a domestic identity. Inside, the interiors are tasteful, undoubtedly luxurious, but ever so slightly uninspired in the way that most Modern Mayfair decor tends to be. Details such as bespoke wall panelling, large feature chandeliers and patterned rugs add a sense of grandeur, and a palette of ash grey, indigo and navy presents a pleasing uniformity throughout the interiors. The finishing veneers, metal details and stone features were produced by craftsmen in Portugal and Germany, and all finishes are achieved to the highest of standards. Open plan kitchens come complete with Miele appliances, marble work surfaces and high gloss cabinets, while the bathrooms feature Villeroy and Boch sanitaryware, bespoke stone and veneer vanity units, and large format porcelain floors. Outdoor space comes in the form of well proportioned balconies and terraces in some, but not all, apartments. This exterior footprint is much needed in a development that is short of incorporated green space. 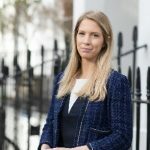 Apartments in 190 Strand can reach GBP3,630 per square foot, but being minutes away from the likes of Covent Garden will have that effect on price tags. For slightly modern interiors and in even closer proximity to Charing Cross, buyers should also consider The Charles. 190 Strand is reshaping the approach to residential luxury. 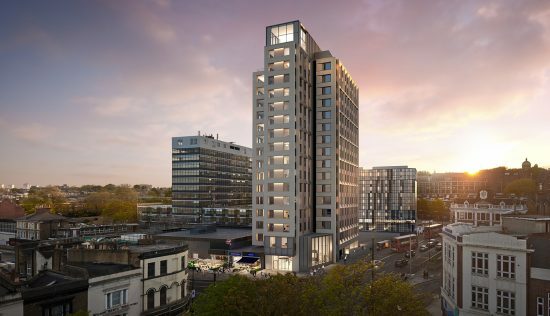 The development is located in the heart of Central London, perfectly close to Temple Underground (less than 200m away), Waterloo Station across the water and Charing Cross Station not too far away. Youre a stones throw away from Londons Theatre Land, the shops of Covent Garden and Piccadilly and also near a range of the capitals favourite museums and galleries. The area has everything you could ask for. The architecture of the building is also a nod to Londons history with the stone columns aluding to the Edwardian architecture of the area and filigree pattern on the metal balcony screens that allow privacy from the outside whilst allowing light to flood through. At 190 Strand the day to day needs of 21st century living are catered for by the 24/7 concierge, building manager and valet service. Also included in the GBP8.00/sq.ft service fee is an extensive gym that runs regular complimentary fitness classes, a good sized pool and plunge pool, a sauna and steam room, treatment rooms, a cinema and virtual golf; you can also book spa treatments and personal training sessions, all of which can be booked via the concierge app. Unlike many other developments, a secure parking space is included in the price of the apartment, with additional spaces being available via separate negotiations. The interior of the apartments certainly matches the high specification of the exterior. All kitchens are fitted with Miele appliances and boast marble worktops and high laquer finishes on cabinets; bathrooms are fitted with bespoke marble surrounds on the baths and vanities and there’s even Swarovski lighting in the suites alongside concealed comfort cooling and engineered timber flooring. Unfortunately since the development is reaching its final phase there is no longer a colour option to choose from.